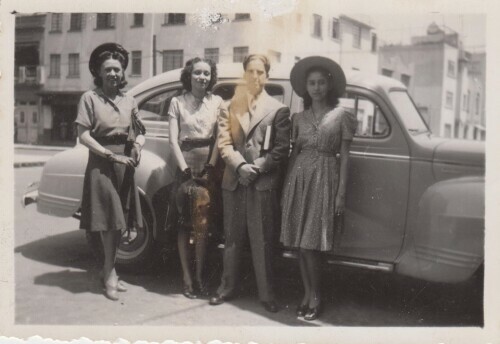 Taken in front of the monument to the Revolution, Mexico City; Carlota Cazares, Hermila Parra, unknown and Perla Lara. 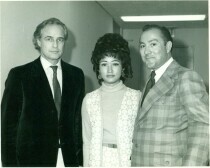 J. J. Armes, Linda Armes, and Marlon Brando. 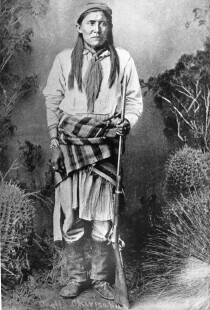 J. W. Merrell Ranch and Cattle in the El Paso area. Army Captain during the Battle of Ciudad Juarez. Unidentified men on top of the train, and in front is an African American man ,in Marfa, Texas . Auto Racing from early 1900's. Automobile racing outside the city limits of El Paso, Texas. Automobile racing outside of the city limits of El Paso, Texas. 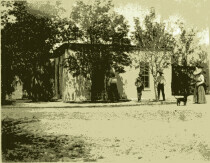 Late 1800 or early 1900, Ranch Home.